This weekend the Archons will rise and take the knowledge that is rightfully theirs! Battle across the face of Crucible for the very first time during our Pre-Launch event for Keyforge: Call of the Archons! Keyforge is a brand new game created by none other than Richard Garfield (whom you might know as the creator of Magic: The Gathering, King of Tokyo, or Netrunner). The game takes place on the The Crucible, a planet in the center of our galaxy gobbled together by a host of other planets and populated by weird creatures and aliens from all across the universe. Unable to leave these outsiders turn to the ethereal and powerful Archons (aka: you) for guidance and even though they themselves don't really know what's going on they do know where to find the answers: in ancient vaults hidden throughout the planet. And that's exactly what you'll do in a game of Keyforge. You play as an Archon trying to forge three keys from the mysterious substance called "Aember" in order to enter a vault. Your opponent is merely an opposing Archon trying to do the same. Who will be the first to enter the vault and take its knowledge? That all depends on the skill of the players! What's unique about Keyforge is that every deck sold is completely different from all other decks in existance anywhere across the world! There is no deckbuilding and there are no booster packs. It is furthermore impossible to mix and match cards from different decks. You will just have to learn to make do with what's been given to you, which is what makes a game of Keyforge so exciting! If you're anxious to try your hand at it you can join us at our Pre-Launch Event on Saturday the 10th of November in Outpost Antwerp. This will be a great a opportunity to find fellow enthousiasts and get your hands on the very first Archon decks, as well as various promo goodies! 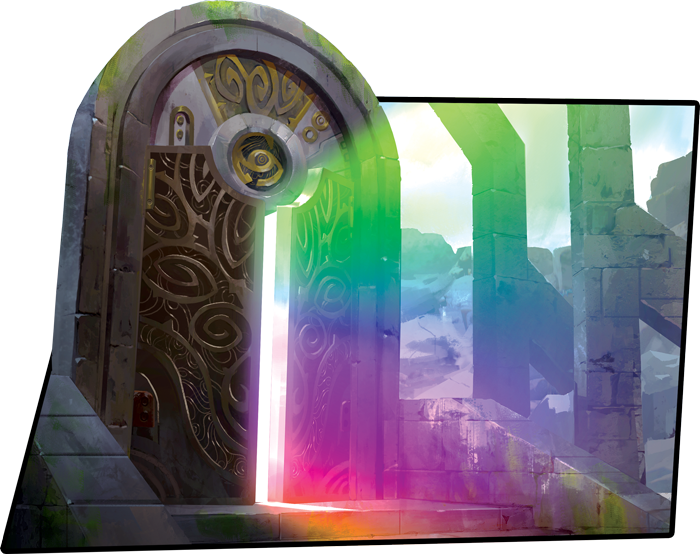 We're really excited about the possibilities presented by Keyforge so stay tuned for the upcoming launch event which will take place in all Outposts, as well as bi-monthly gatherings! And if you want to know more about Keyforge in general you can check out our Everything we know so far article where we've gathered all our Keyforge knowledge in one place!